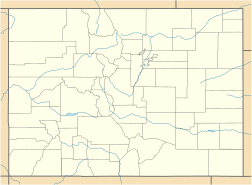 The University of Colorado Boulder (commonly referred to as CU, CU Boulder,[a] or Boulder) is a public research university located in Boulder, Colorado, United States. It is the flagship university of the University of Colorado system and was founded five months before Colorado was admitted to the Union in 1876. In 2015, the university comprised nine colleges and schools and offered over 150 academic programs and enrolled almost 17,000 students. Twelve Nobel Laureates, nine MacArthur Fellows, and 20 astronauts have been affiliated with CU Boulder as students, researchers, or faculty members in its history. The university received nearly $454 million in sponsored research in 2010 to fund programs like the Laboratory for Atmospheric and Space Physics, and JILA. The Colorado Buffaloes compete in 17 varsity sports and are members of the NCAA Division I Pac-12 Conference. The Buffaloes have won 28 national championships: 20 in skiing, seven total in men's and women's cross country, and one in football. Approximately 900 students participate in 34 intercollegiate club sports annually as well. The main CU Boulder campus is located south of the Pearl Street Mall and east of Chautauqua Auditorium. It consists of academic and residential buildings as well as research facilities. The East Campus is about a quarter mile from the main campus and is composed mainly of athletic fields and research buildings. CU Boulder's distinctive architecture style, known as Tuscan Vernacular Revival, was designed by architect Charles Klauder. The oldest buildings, such as Old Main (1876) and Macky Auditorium (1923), were in the Collegiate Gothic style of many East Coast schools, and Klauder's initial plans for the university's new buildings (approved in 1919) were in the same style. A month or so after approval, however, Klauder updated his design by sketching in a new wrap of rough, textured sandstone walls with sloping, multi-leveled red-tiled roofs and Indiana limestone trim. This formed the basis of a unified style, used in the design of fifteen other buildings between 1921 and 1939 and still followed on the campus to this day. The sandstone used in the construction of nearly all the buildings on campus was selected from a variety of Front Range mountain quarries. In 2011, Travel+Leisure named the Boulder campus one of the most beautiful college campuses in the United States. Currently Freshmen and others attending the University of Colorado Boulder have an option of 24 on- and off-campus residence halls. Residence halls have 17 varieties of room types from singles to four-person rooms and others with apartment style amenities. There are several communities of residence halls located throughout the campus, as well as in a separate area called Williams Village which is located approximately 1.5 miles off of main campus. There is a free bus service that transports students to main campus from Williams Village and vice versa. The University also offers Residential Academic Programs (RAPS) in many of its Residence Halls. RAPs provide students with in-dorm classes tailored to academic interests (international affairs, environmental studies, etc.). The Engineering Center on the North-East side of campus houses the nation's largest geotechnical centrifuge as well as ion-implantation and microwave-propagation facilities, spectrometers, electron and other microscopes, and a structural analysis facility. In 1947, Colorado Governor Lee Knous issued a proclamation to create a memorial to Colorado's servicemen at the University of Colorado Boulder. A proposal to house this memorial in a student union building resulted in a remarkable fundraising effort. The University Memorial Center (UMC) opened its doors in October 1953 with President Robert Stearns presiding over the ribbon-cutting ceremony. The UMC quickly became the central landmark of the Boulder campus. A 1964 addition created a new book store, conference facilities, additional dining facilities, and offices to house the rapidly growing student activities and organizations. The expansion was financed through bonds granted by student fees. The 1960s and '70s put the UMC at the center of student activism as students staged strikes, grape boycotts, love-ins, sit-ins, and walk-outs. The UMC Fountain Court (now the Dalton Trumbo Fountain Court) became a familiar sight to network television news watchers as the famous and notorious promoted their cause at CU Boulder. Entertainers as diverse as Ramsey Lewis and the Grateful Dead have performed in the Glenn Miller Ballroom. The UMC Connection, a student entertainment center in the basement, is a more informal gathering place, featuring pool tables and a small bowling alley. It also features Club 156, which hosts concerts from local and up-and-coming bands. In 1986, students passed another bond issue to remodel the food-services area. The Alferd Packer Grill gets its name from Alferd Packer, a famous historical cannibal in Colorado. Many exotic meals can be found here. The Center for Community, also known as the C4C by students, follows the distinct architecture guidelines of Charles Klauder and is a 323,000-square-foot (30,000 m2) facility that is promised to be 20 percent to 25 percent more energy- and water-efficient compared to similar-sized buildings. The facility was completed in September 2010 at a cost of $84.4 million. The building is originally bond-financed through the CU treasurer and will be repaid through a combination of sources. A large portion of the debt, $47.4 million, will be repaid by Housing and Dining Services, through room and board fees. Fees from Permit and Parking Services will contribute as well. The Center also relies on $18 million in donations, a goal which has not been achieved, but has become a top fundraising priority for the University. The building houses offices of Student Services including Campus Card Services, Disability Services, and Career Services among others. These services have been relocated to the C4C from various locations around campus. For example, Career Services was previously housed in the basement of the Willard Dormitory. There is a 140,000-square-foot (13,000 m2) underground parking structure that contains approximately 365 to 375 parking spaces. Student study areas are located on the upper floors and conference centers are open to campus and non-campus affiliates throughout the building. The dining services offered within the C4C include a CU on the run "grab-n-go", The Bakery, a late night dining hub called the Weather Tech Café, open until 2 A.M, and finally a central dining facility. This dining facility seats 900 and offers students up to nine specialty dining choices including: Persian, Asian, Latin, Sushi, Italian, Kosher, a grill, salad bars, and desserts. Overall the Dining Center is projected to serve around one million meals per year. In 1973 the student recreation center was built on the CU Boulder's main campus, by the architect James Wallace. The funding to build the recreation center came entirely from student fees, which also funded the expansions in 1990 and 2014. The recreation center features strength and cardio space, basketball/volleyball courts, the only ice rink in Boulder proper, lap pool, dive well, fitness studios (cycling, rowing, etc. ), climbing gym, turf gym, and an iconic outdoor pool in the shape of the CU Boulder buffalo mascot. It is currently about 300,000 square feet (28,000 m2) and operates on a $5 million annual budget. The center is co-managed by the division of student affairs and CUSG, CU Boulder's student government. 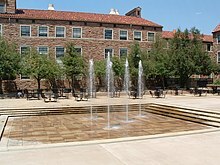 It is located on the northern edge of campus next to Folsom Field. It is open 7 days a week and on average 16 hours a day with most of its facilities available for use during those hours. Old Main is the oldest building on campus, and previously served as the Medical School for the University of Colorado system. Norlin Library features two art galleries, several dedicated art spaces, and art works on display throughout the building. The CU Art Museum features works of modern and contemporary art, as well as historical art works. The Museum's permanent collection includes over 5,000 works of art from numerous time periods and cultures. The UMC Art Gallery exhibits a variety of visual offerings ranging from student works created on campus to presentations of internationally recognized artists. Andrew J. Macky Gallery showcases the work of both local and national artists and is housed in the historic Macky Auditorium. University of Colorado Museum of Natural History has one of the most extensive natural history collections in the Rocky Mountain and Plains regions, representing the disciplines of Anthropology, Botany, Entomology, Paleontology, and Zoology. It is located in the Henderson building, named after its first curator, Judge Junius Henderson, and hosts the Museum and Field Studies master's (MS) program. The CU Heritage Center tells the stories of CU Boulder's past and present and is housed in Old Main, the first building constructed on campus. Seven galleries exhibit art and memorabilia associated with CU faculty and alumni. The Fiske Planetarium and Science Center features a 60 ft (18 m). planetarium dome and produces laser shows, live concerts, and an ongoing series of public programs. Fiske also offers a hands-on science museum with interactive exhibits and space-themed art. The University of Colorado Boulder College of Music presents over 400 performances and educational events bringing together faculty, students, and guest artists each year through the Pendulum New Music Series. They present musical genres including classical, jazz, world music, and new music. The University of Colorado Boulder Department of Theatre & Dance is home to the Charlotte York Irey Dance Theatre, the University Theatre, and the Loft Theatre as well as Grusin Music Hall and the Chamber Music Hall in the College of Music. Over twenty productions are presented each year featuring student and faculty actors, dancers, choreographers, directors, and designers, as well as the work of professional guest artists. Student work is also showcased in the annual CU Boulder Fringe Festival, produced by OnStage, a student performing arts group. CU Boulder adopted an honor code in 2000 following growing concerns about academic dishonesty on campus in the late 1990s. A copy of the code stating "On my honor, as a University of Colorado Boulder student, I have neither given nor received unauthorized assistance on this work" is engraved on a metal plate and posted in every classroom on campus. U.S. News & World Report ranked the University of Colorado Boulder tied for 90th best among all national universities, tied for 39th among public universities in the U.S., and tied for 32nd best among all universities globally in 2017. The Center for World University Rankings ranked CU Boulder 19th among U.S. public comprehensive institutions and 63rd overall in the world in its 2014 ranking of the top 100 degree-granting institutions of higher education. Twenty-four CU Boulder graduate school specialty programs are ranked in the top 50 in the nation, including seven in the top 10, by U.S. News & World Report in 2016. CU Boulder's atomic/molecular/optical physics program holds the top spot nationally (1). Other CU Boulder programs ranking in the top 10 are environmental law (5), ceramics (8), quantum physics (8), geology (9), physical chemistry (9) and aerospace engineering (8). U.S. News & World Report also ranked the Education school 29th, the Engineering school 34th, the Law school 40th, and the Business school tied for 86th. In its 2010 rankings of American doctoral programs, The National Research Council ranked the PhD program in Geography at CU Boulder tied for second in the U.S. In 2015, Sierra Magazine ranked CU Boulder 52nd in its "Coolest Schools" in America list for campus sustainability and climate change efforts. For fall 2015, CU Boulder received 31,326 freshmen applications; 24,941 were admitted (80%). The average GPA of the enrolled freshmen was 3.58, while the middle 50% range of SAT scores were 520-630 for critical reading and 540-660 for math. The middle 50% range of the ACT Composite score was 24-30, while the middle 50% range was 23-30 for ACT English and 24-29 for ACT Math. As of 2006[update], there were more than 3,800 tenured or tenure-eligible faculty members, as well as 4,400 non-tenured adjunct professors and instructors. Current faculty include Nobel laureates David J. Wineland (physics 2012), John Hall (physics, 2005), Eric Cornell (physics, 2001), and Thomas Robert Cech (chemistry, 1989). Carl Wieman was also awarded a Nobel prize for his work with Eric Cornell. He maintains a part-time appointment at the University of Colorado Boulder but his primary appointment is Professor and Director of the Carl Wieman Science Education Initiative at the University of British Columbia. Controversial writer Ward Churchill was a professor of ethnic studies until he was wrongly fired in July 2007. Robert T. Craig an International Communication Association Fellow and author of "Communication Theory as a Field" is a professor in the Communication Department. 1000-Word Philosophy is a philosophy blog that publishes introductory 1000-word (or less) essays on philosophical topics. Most of the authors are the students and graduates of the CU Boulder. The blog is created and edited by Andrew D. Chapman, a philosophy lecturer at this university. The essays generally include references or sources for more information. What’s Wrong? is the “not quite official” blog of the University of Colorado, Boulder's Center for Values and Social Policy. It is edited by David Boonin, professor of philosophy and Associate Dean for Arts and Humanities. The blog's purpose is to provide "a forum for discussing and reporting on topics in applied normative philosophy". CU Boulder's research mission is supported by eleven research institutes within the university. Each research institute supports faculty from multiple academic departments, allowing institutes to conduct truly multidisciplinary research. The Institute for Behavioral Genetics (IBG) is a research institute within the Graduate School dedicated to conducting and facilitating research on the genetic and environmental bases of individual differences in behavior. After its founding in 1967 IBG led the resurging interest in genetic influences on behavior. IBG was the first post-World War II research institute dedicated to research in behavioral genetics. IBG remains one of the top research facilities for research in behavioral genetics, including human behavioral genetics, psychiatric genetics, quantitative genetics, statistical genetics, and animal behavioral genetics. The Institute of Cognitive Science (ICS) at CU Boulder promotes interdisciplinary research and training in cognitive science. ICS is highly interdisciplinary; its research focuses on education, language processing, emotion, and higher level cognition using experimental methods. It is home to a state of the art fMRI system used to collect neuroimaging data. ATLAS Institute is a center for interdisciplinary research and academic study, where engineering, computer science and robotics are blended with design-oriented topics. Part of CU Boulder's College of Engineering and Applied Science, the institute offers academic programs at the undergraduate, master's and doctoral levels, and administers research labs, hacker and makerspaces, and a black box experimental performance studio. At the beginning of the 2018-2019 academic year, approximately 1,200 students were enrolled in ATLAS academic programs and the institute sponsored six research labs. In addition to IBG, ICS and ATLAS, the university's other institutes include Biofrontiers Institute, Cooperative Institute for Research in Environmental Sciences, Institute of Arctic & Alpine Research (INSTAAR), Institute of Behavioral Science (IBS) JILA, Laboratory for Atmospheric & Space Physics (LASP), Renewable & Sustainable Energy Institute (RASEI), and the University of Colorado Museum of Natural History. The club motto, "half mile more", dates back to the 1940s of the club's tradition-rich history. A slide show of the club's activities is shown on campus during semi-annual new member meetings and the alumni association meets annually. The team is open to any student who pays annual dues and meets a minimum amount of credits during the semester. The members include nearly every different type of cyclist, from BMX riders, trials, and bicycle commuters to elite amateur or part-time professional road and mountain riders. Specifically, to qualify for road or mountain nationals, a rider must have enough high race results to upgrade to "A" category in the USA Cycling rankings. Then, a number of "A" riders will be chosen by the coaches to represent CU at the National Championships. The number of riders the team is allowed to send is based on how well the team did overall during the season. The Volunteer Resource Center is a student funded organization aimed towards promoting volunteerism in the Boulder community. They provide a database with volunteer opportunities of 250 organizations around campus and in the Boulder area. The CU Boulder campus was recently one of 3 U.S. Universities to receive the Presidential Award for Exemplary Student Community Service in 2008. The Volunteer Resource Center hosts or participates in special volunteer events and activities including Alternative Breaks, Better Boulder Better World, and The Buffalo Can Challenge. The Volunteer Resource Center also a yearly Volunteer Internship Program which engages six selected students through an interview process to create events aimed at involving more freshmen in volunteering, effectively managing all logistics of the event, and implementing the events on campus. The Panhellenic sorority community consists of ten Panhellenic sororities (Alpha Phi, Alpha Chi Omega, Delta Gamma, Kappa Kappa Gamma, Pi Beta Phi, Delta Delta Delta, Chi Omega, Kappa Alpha Theta, Gamma Phi Beta, and the newest Phi Mu) and two associate, local-interest, chapters. The men's fraternities at the University of Colorado are not officially affiliated with the school; however, they are still a presence on campus. Students who participate in Greek Life account for a little more than ten percent of the student body. The recruitment process consists of four datebooks, dressing from more casual to formal as the datebooks progress. First day is introduction, second day is philanthropy, third day is skit night, and the fourth day is preference night. There is also a Multicultural Greek Council that is composed of Asian Greek Letter Organization(s), Latino(a) Greek Letter Organization(s), and Multicultural Greek Letter Organization(s). The MGC act as a liaison between the member organizations and university administration, and promotes unity between the organizations and the college community. Started in 2008 by CUBoulder students, Left Right TIM is the Boulder area's premier and longest running improv comedy team, performing a weekly improvised comedy show every Friday during the University's academic year in the Hale Anthropology Building Room 270 of the school's campus. The team accepts new members every year and has performed in cities around the country as well as opening for established stand up comedians and improv theaters. [not in citation given] On February 23, 2018, the group celebrated its ten-year anniversary. Sports teams at the school are called Buffaloes. The varsity athletic teams participate in the NCAA's Division I (FBS for football, see Bowl Championship Series) as a member of the Pac-12 Conference. The school officially joined the Pac-12 on July 1, 2011, ending its affiliation with the Big 12 Conference. (CU had previously been a member of the former Big Eight Conference, whose members had merged with four schools of the former Southwest Conference to create the new Big 12 Conference in 1996.) The official school colors are silver and gold, as opposed to the common belief of black and gold. Silver and gold were chosen to represent the state's mineral wealth, but the colors did not look good together on the uniforms, so black was substituted. There are three official fight songs: "Glory Colorado", "Go Colorado", and "Fight CU." In the early 1980s, the Board of Regents changed the school colors to sky blue and gold; but the changed proved highly unpopular with students and alumni, and the colors were changed back after 1985. 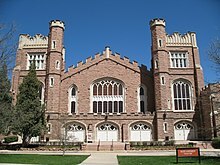 CU also maintains one of the largest Club Sports departments in the U.S. It supports over 30 club teams with leading clubs such as both men's and women's water polo, crew, cycling, Ultimate, swimming & diving, fencing, men's lacrosse, baseball, softball, ice hockey, rugby union, and the CU Triathlon Team. The school's live mascot is a female American Bison named Ralphie. The costumed mascot CHIP is also a part of the CU Spirit Program. CHIP is a costumed buffalo that represents the University of Colorado at numerous athletic and social events. Along with the Cheer and Dance Program, CHIP competes on a national level once a year against mascots from around the country, including Bucky Badger, Sparty, Aubie, Goldy Gopher and many other Hall of Fame mascots. Most recently CHIP competed in the 2009 UCA national competition and was crowned #1, and the national champion after performing a skit titled "CHIP's Favorite Video Games". CU Boulder offers a variety of political student organizations which cover the full spectrum of politics. Among them are Amnesty International, which focuses on human rights worldwide, as well as the College Democrats and the College Republicans. The University of Colorado also offers many clubs promoting diversity and human rights, such as the Gay Straight Alliance. Students can also choose from a plethora of clubs and organizations centered on ethnicities and countries, as well as different religious groups. CU Boulder also maintains one of the nation's most competitive student-run parliamentary debate programs. In 2010, CU Boulder became the first fully student-run program to win the National Parliamentary Tournament of Excellence (NPTE). Student population is predominantly white and the majority of students are Colorado residents. Most students at CU Boulder are aligned with the American political left. A 2014 survey stated that 16.3% of the students are registered as members of the Republican Party, along with 10.5% of CU Boulder non-faculty staff and 6% of CU Boulder faculty. The University of Colorado Boulder ranks fourth among U.S. universities in number of astronauts produced, not including military academies. In addition, the University of Colorado Boulder has graduated two Heads of State: Mongolian President Tsakhiagiin Elbegdorj and Liberian President Ellen Johnson Sirleaf; and two associate justices of the Supreme Court of the United States: Wiley Rutledge and Byron White. Indian-American astronaut Kalpana Chawla was also an alumna, as was the filmmaker and director Monty Miranda. First to create a new form of matter, the Bose–Einstein condensate, just seven hundred billionths of a degree above absolute zero. The Squid server was created at the University of Colorado Boulder by Duane Wessels as part of Harvest project under grant from the National Science Foundation. First zero-waste sports stadium (both collegiate and professional) in the nation. ^ Formerly written as CU-Boulder. ^ "Let Your Light Shine". University of Colorado Boulder Arts and Sciences Magazine. Retrieved October 7, 2017. ^ a b c "CU Boulder Fall Enrollment". University of Colorado Boulder Office of Data Analytics. ^ "Typography/Color | Brand | University of Colorado Boulder". Retrieved September 27, 2018. ^ "Phase-out of CU Boulder Hyphen". Brand and Messaging. University of Colorado Boulder. Retrieved March 7, 2019. ^ "Academics". University of Colorado Boulder. Retrieved July 15, 2016. ^ Davis, William E. (1965). Glory Colorado! A history of the University of Colorado, 1858-1963. Boulder, Colorado: Prutt Press, Inc. LD1178 .D35. ^ "From Basketball to Covert Ops: E. Henry Knoche". The Washington Post. ^ a b c d "Campus Architect". Facilities Management, University of Colorado Boulder. Retrieved September 27, 2018. ^ . Housing.colorado.edu. Retrieved on August 12, 2013. ^ Residence Hall Rooms | Housing and Dining Services. Housing.colorado.edu. Retrieved on August 12, 2013. ^ "No more mystery meat: CU-Boulder dishes up gourmet dorm food". coloradodaily.com. Retrieved April 26, 2011. ^ a b c d Anas, Brittany (August 11, 2010). "CU-Boulder unveils $84.4M student hub, 'Center for Community'". dailycamera.com. Retrieved April 26, 2011. ^ "Center for community". colorado.edu. Archived from the original on August 6, 2011. Retrieved April 26, 2011. ^ Glasscock, Kim (August 23, 2007). "Regents OK new 'center for community' at CU Boulder". cu.edu. Archived from the original on September 29, 2011. Retrieved April 26, 2011. ^ "Dining | Housing and Dining Services". housing.colorado.edu. Retrieved April 26, 2011. ^ "Home - Recreation Services - University of Colorado Boulder". ^ "CU Heritage Center". CU Heritage Center. Retrieved February 8, 2015. ^ "Colleges & Schools". University of Colorado Boulder. Retrieved March 7, 2019. ^ "CU Students On Their Honor". Rocky Mountain News. November 25, 2000. ^ a b c d "U.S. News Best Colleges Rankings". U.S. News & World Report. Retrieved September 15, 2016. ^ "Center for World University Rankings". Center for World University Rankings. 2014. ^ "Doctoral Programs by the Numbers". September 30, 2010 – via The Chronicle of Higher Education. ^ Ewalt, David (September 15, 2015). "The World's Most Innovative Universities". reuters.com. Thomson-Reuters. Retrieved November 13, 2015. ^ "Cool Schools 2015: Full Ranking". Sierra Club. ^ a b c "Common Data Set 2014-2015, Part C". University of Colorado Boulder. Archived from the original on April 20, 2016. Retrieved April 3, 2016. ^ a b Griffin-Wehr, Christiane; Norton, Jill (May 2006). "University of Colorado System Answer Book" (PDF). —. University of Colorado Boulder. Archived from the original (PDF) on February 16, 2008. Retrieved December 30, 2007. ^ "Dig Deeper: 1000-Word Philosophy". Fordthought. Retrieved August 10, 2015. ^ Justin. "Philosophy in 1000 Words or Less". Daily Nous. Retrieved August 10, 2015. ^ "Leiter Reports: A Philosophy Blog". Retrieved August 10, 2015. ^ "Department of Philosophy - NIU - Northern Illinois University". Retrieved August 10, 2015. ^ "About 1000-Word Philosophy". 1000-Word Philosophy. Retrieved August 10, 2015. ^ Justin. "What's Wrong? (A New Blog)". Daily Nous. Retrieved August 10, 2015. ^ "What's Wrong?". What's Wrong?. Retrieved August 10, 2015. ^ "Institute for Behavioral Genetics, University of Colorado Boulder". Retrieved March 1, 2016. ^ Loehlin, JC (2009). "History of behavior genetics". In Kim, Yong-Kyu (ed.). Handbook of behavior genetics. ISBN 978-1441967473. ^ "ATLAS Institute". ATLAS Institute. Retrieved October 3, 2018. ^ "ATLAS Institute, University of Colorado Boulder". Retrieved August 29, 2018. ^ a b "CU Hiking Club". THE HIKING CLUB @ CU. Archived from the original on July 8, 2008. Retrieved December 18, 2007. ^ "CU Hiking Club". Archived from the original on January 18, 2007. Retrieved December 12, 2006. ^ "History of Radio 1190". Archived from the original on October 3, 2006. Retrieved September 10, 2006. ^ a b c d e "Boulder Freeride". Boulderfreeride.com. Retrieved December 18, 2007. ^ "About" CU Cycling Team. Web. August 5, 2011. <http://www.cucycling.com/about.php Archived January 13, 2012, at the Wayback Machine>." ^ "University of Colorado Program Council". programcouncil.com. Retrieved July 19, 2008. ^ "The Herd-About". The Herd. Archived from the original on June 25, 2008. Retrieved July 19, 2008. ^ "About VRC". Volunteer Resource Center. Archived from the original on October 19, 2007. Retrieved April 30, 2009. ^ "What to Wear to Recruitment". colorado.edu. Archived from the original on March 13, 2013. Retrieved March 10, 2013. ^ "Multicultural Greek Council". Greek Life. July 29, 2014. Archived from the original on March 10, 2018. Retrieved March 9, 2018. ^ "CU-Boulder improv group Left Right TIM celebrates 5 years". Retrieved March 30, 2018. ^ "One hot comic: Natasha Leggero tells jokes at CU on Friday". Retrieved March 30, 2018. ^ "FAQ - University of Colorado". Archived from the original on December 12, 2010. Retrieved August 2, 2006. . See also: Colorado Buffaloes#Colors. ^ "School Songs". Retrieved April 23, 2013. ^ "The Golden Buffalo Marching Band". Archived from the original on April 27, 2013. Retrieved April 23, 2013. ^ "CU Cheer Squad Places Sixth At NCA Nationals". CUBuffs.com. Retrieved February 8, 2015. ^ College football's 12 coolest mascots: 1. Ralphie the Buffalo, Colorado Archived September 2, 2010, at the Wayback Machine. FoxSports.com. Retrieved September 1, 2010. ^ "2010 NPTE Results" (PDF). National Parliamentary Tournament of Excellence. Archived from the original (PDF) on October 17, 2015. Retrieved February 24, 2018. ^ "CU Boulder fall enrollment - campus total summary". Retrieved April 5, 2019. ^ Kuta, Sarah (October 29, 2016). "What's it like to be a conservative student at CU Boulder?". Daily Camera. Retrieved September 12, 2017. ^ "NIST/University of Colorado Scientists Create New Form of Matter: A Fermionic Condensate". Office of News Services. January 28, 2004. Archived from the original on December 7, 2006. Retrieved November 14, 2006. ^ "New CU Boulder Technology Expected To Help Rapidly Identify Avian Flu Strains". Office of News Services. November 13, 2006. Archived from the original on December 4, 2008. Retrieved November 14, 2006. ^ "Final Results of Solar Decathlon 2005". U.S. Department of Energy. October 14, 2010. Archived from the original on October 28, 2010. Retrieved December 14, 2010. ^ Meisler, Natalie (December 8, 2003). "CU's Folsom Field aims for no trash". Denver Post. Wikimedia Commons has media related to University of Colorado at Boulder. "University of Colorado" . Collier's New Encyclopedia. 1921. "University of Colorado" . The New Student's Reference Work . 1914. "University of Colorado" . New International Encyclopedia. 1905.